Weekend Specials, Campaigns and National Holidays! Greetings to all and thank you for checking out the RHDJapan blog spot! Next week we will be away from the office on the 20th and the 23rd in observance of two National Holidays here in Japan. Monday will be the first of these holidays and this round of Weekend Specials will be going on for the next 4 days!! 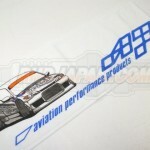 Get an APP towel with an animated version of their D1GP S15 as a service with any APP order. Be an official JDM 'Toweler' with this offer! 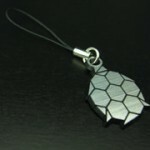 Receive a FREE WorksBell Liquid Crystal Keychain as a service!! This item is discontinued and is no longer available from WorksBell, only RHDJapan!! More offers will be coming soon for wheel and tire combs, please stay tuned!! Weekend Specials ~Sept 27 » « Weekend & September Specials Starting Strong! !